Femi was caught from the wild before she was 6 months old, most likely her mother was shot in front of her eyes. We can be pretty sure about this considering young Orang-utans stay directly with the mother at this age, and the mother will protect her child at all costs. This terrible trauma becomes more absurd as she was shipped to Java: Femi was found in a post-parcel at a bus station when travellers noticed the package moving. 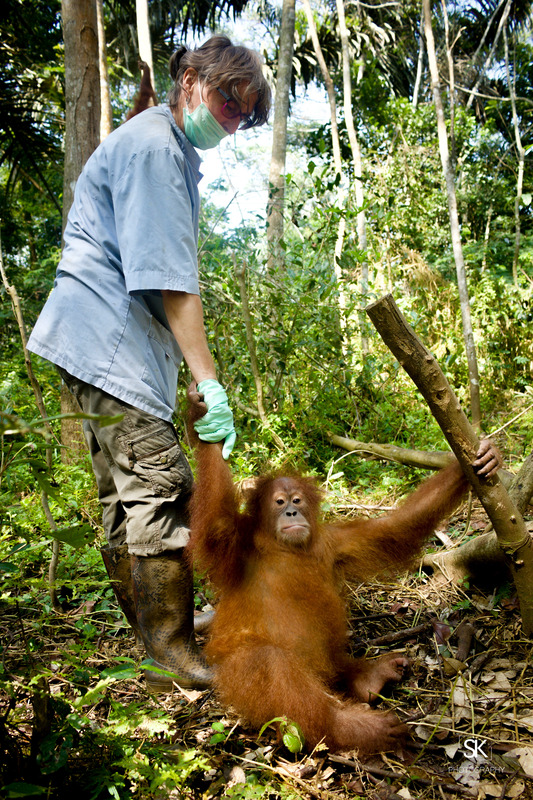 After opening Femi was found… This only shows how horrible the trade is, and makes clear why getting a Orang-utan as a pet is cruel for so many reasons.